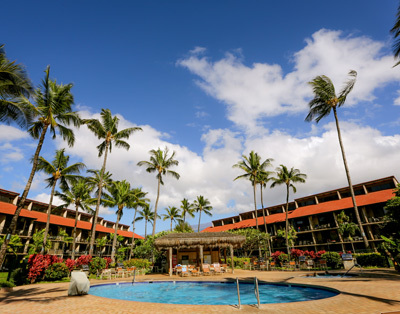 Luana Kai in Hawaiian means “to be at leisure by the sea.” These oceanfront condos on Maui’s south side in Kihei offer all the amenities of traditional resorts: a swimming pool, saunas, tennis courts and more. You can also enjoy the conveniences of home, including in-unit laundry, full kitchens, outdoor barbecues and wireless internet. The grounds of Luana Kai are beautifully landscaped with hibiscus, ginger, heliconia, red and yellow croton and other alluring tropical plants. The big grassy lawn facing the ocean is perfect for picnics, reading a book and sunbathing. You’re also just minutes from restaurants, shopping and activities.